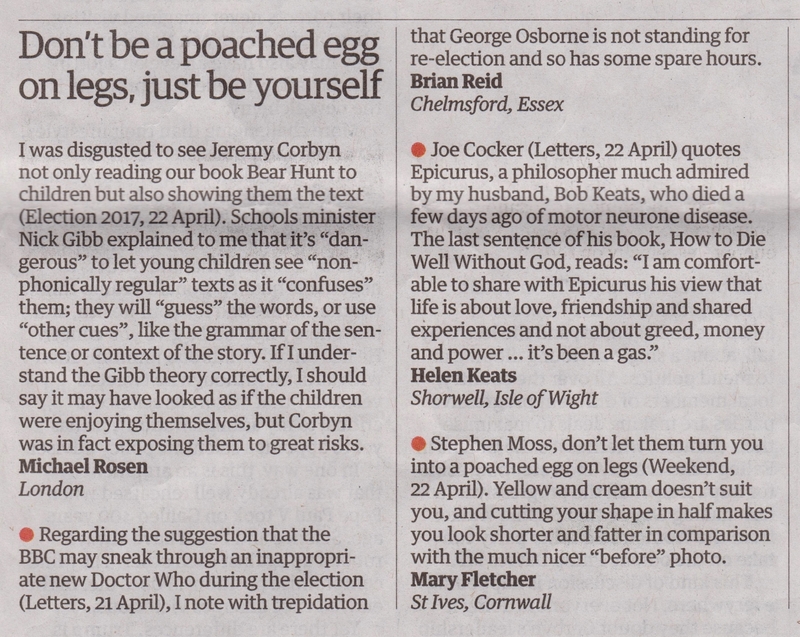 Regarding the suggestion that the BBC may sneak through an inappropriate new Doctor Who during the election (Letters, 21 April), I note with trepidation that George Osborne is not standing for re-election and so has some spare hours. APA 6th ed. : (2017-04-24). An inappropriate new Doctor Who. The Guardian . MLA 7th ed. : "An inappropriate new Doctor Who." The Guardian [add city] 2017-04-24. Print. Turabian: "An inappropriate new Doctor Who." The Guardian, 2017-04-24, section, edition. This page was last modified on 20 July 2018, at 00:15.